The European Union said no date has been fixed for further talks on Iran's nuclear program, while hoping they will be soon. 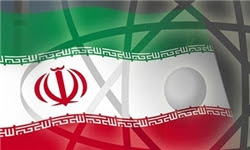 Earlier today, Iran’s chief nuclear negotiator Saeed Jalili had said Iran had accepted that the talks with the six major world powers be held in late January. I'm afraid I agree with you on this,but with a slight twist.Not just Khamenei,but the whole establishment of the IRI,say maybe a very small handful that want relationship. Well, Ahmadinejad is one of the few who want to re-establish ties with the U.S. & EU and have give it a chance to have a relationship with the West. As has been stated many times in interviews'. Sadly he can't decide on such matters.